← Laughter as brain injury medicine … Is life really a “walk in the park”? Vision? What vision? What’s your vision of perception? Have you laughed at some ridiculous comments or created laughter in a room full of serious people? At a recent specialist appointment to check Vertical Heterophoria one was given a few opportunities to laugh and create laughter. Take every opportunity you can to laugh. Laughter is healing and healthy. One was told to read the lowest line you can see. One did just as told. At the bottom of the chart or might one say the bottom edge of the card was a small line that read something like “Snellen chart copyright…” The people in the room never heard that one before. Roaring laughter filled the room! Are we programmed to read something like this: a.d.b.c.2.z.4 instead of listening to precise instructions. Was this the smallest and lowest line on the chart? Maybe no one else could see that line! Next time one will take a closer look at the chart. Who knows what everyone is missing! Then one was asked if one felt as though head was tilted! Didn’t think that was unusual either. After all, how many of us were told as children to “Get your head on straight!” By the 6th decade you’d think we’d have our heads on straight! 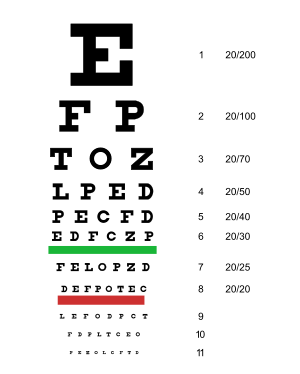 Another way to check vision one was told to walk tall. At 5’9” I was wondering how I would walk short? The doctor was not quite 5 foot, so walking tall might have been her problem! Life is simply too serious to pass up moments of laughter you can share with others. What was the situation that you were able to laugh or create a positive outburst of laughter? Oh I do agree about laughing and making the best of it…and as a matter of fact I do have a recent story. Mine involved me eyesight and my glasses! I took a bad step the other night, fell off the porch, landed on a plastic patio chair and broke it in two! It was a blind spot I get in my glasses when I’m at a particular angle. For a brief moment I thought I’d hurt myself, but once I realized I was basically ok, I laughed and laughed. I think I scared everyone else to death! 🙂 Yes, let’s keep laughing, Edie!